Former Dairy and KCCA FC player Abdallah Mubiru has been sacked by Police FC. This came barely 48 hours after Police FC was humiliated 5-0 at Namboole stadium by Onduparaka FC on Friday evening in the Azam Uganda Premier League. 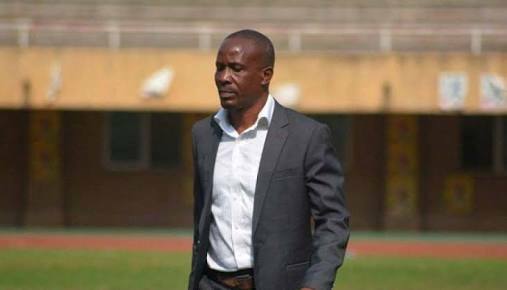 This is the second time in just under two years that Mubiru has been fired from a top tier team after he was also shown the exit door at Vipers SC at the start of 2016. Mubiru was sacked along with his coaching staff during a recovery session in Kibuli on Saturday. “We were stopped from training mid way the session on Saturday after a sudden call from one of the high ranking club managers. It was embarrassing” a club official who preferred anonymity confirmed the proceedings. The other support staff to Mubiru that where let go of include former Uganda Cranes goalkeeper James Magala (goalkeeping coach) and assistant coach John Luyinda. 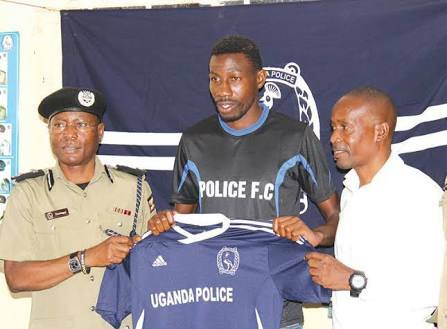 Police FC Chief Executive Officer, Kidega could neither confirm nor deny the development when contacted. Mubiru joined the footballing Cops at the start of last season coming in after he was sacked by Vipers and replaced by George best Nsimbe. The former Dairy and KCC player who also played for the Uganda Cranes has also previously coached at KCCA FC, Proline and Vipers SC in the top flight plus Mawogola and Ssingo Ssaza teams in the Airtel Buganda Masaza tournament. Winners of the Uganda Premier League in 2005, Police had of late depreciated in form after a stellar performance in the first round that saw them top of the league at some point. After 26 matches, Police is currently 8th on the table with 32 points and may soon find themselves in the relegation scrap as the teams below them are steadily picking momentum. The team was looking good until January when they lost a couple of thier key players. The players that may have brought about the dip in form include then team and league top scorer Hood Kawesa who left for greener pastures in Zambia. The other is Gift Ali who had initially departed for Tusker FC in Kenya but ended up at Proline. At the time of Gift Ali’s departure, he was second on the list of assist makers in the league and was the engine that drived the team especially through the middle. After the departure of Kaweesa and Ali, Police FC has managed only two top flight wins in 11 matches, drawing two and losing the other seven. In that period, the team has also scored only 10 goals, four coming in the dramatic 4-3 win against Express at the start of March is a game that is dubbed by May as the ‘the game of the season’ so far. Whoever comes in to replace Mubiru will have one ball of a job to do at the Cops, a team that is indeed lacking quality in terms of playing staff with many of the player around mediocre. A number of coaches are lined up for the vacant job at Police with management expected to name the successor in the next 48 hours. Police hosts Soana on Tuesday, 1st May 2018 in their next domestic league engagement at Mandela National Stadium.